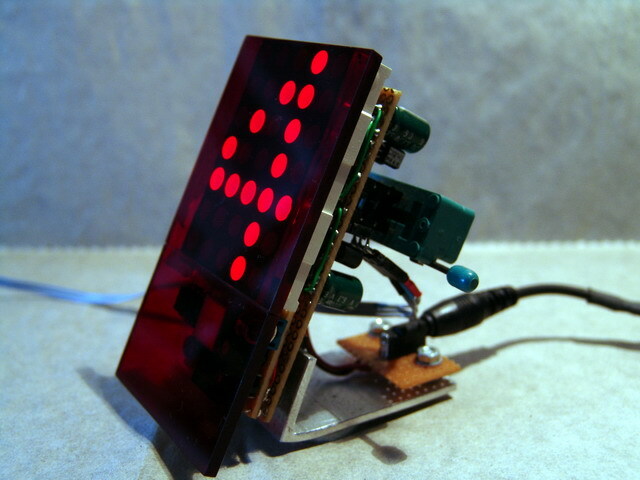 The mono clock is a time/date display device on a single LED dot matrix display. The time synchronization is done by a long wave receiver. 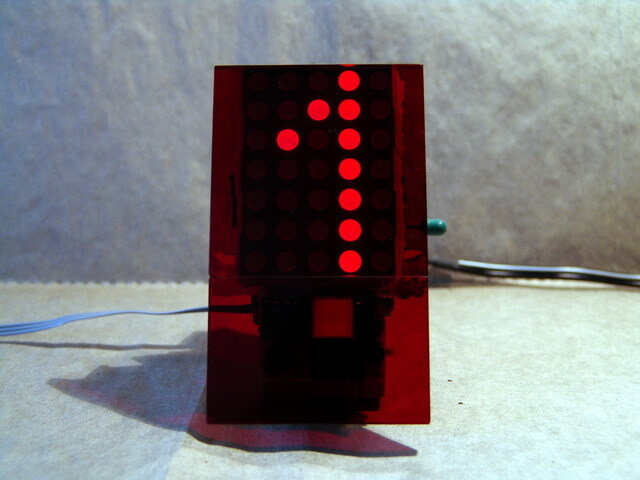 Behind the upper filter glass a 5 cm - 5 x 7 dot matrix shows the time and/or date. On the lower part you can guess a dim red square, it is a standard shape LED, an additional infrared LED mounted inside the shape LED enhances it to a touch switch for display modes, styles and brightness. Three display modes, seven styles and four brightness steps are selectable by a relatively comfortable menu, considering there is only one digit shown at a time. The used controller is a low cost 8 bit RISC type with 2 K FLASH. To make time receiving routines and seven display styles fit into 2 K, the complete programming was done in assembler. A special cellular automata algorithm handles the digit morphing. Here is a list of time broadcasting services in various countries (country - name - frequency).